The Supreme Court today handed down a historic decision upholding the Affordable Care Act (ACA), virtually in its entirety, on the basis of Congress having the authority to levy a “tax” (i.e., the non-compliance penalty for the individual mandate). This is a different angle than many observers expected for upholding the ACA; most were focused on the ACA being supported by the Commerce Clause contained within the Tenth Amendment, and, interestingly, the Supreme Court found that the Commerce Clause did NOT support the individual mandate component of the ACA. This all said, what does the upholding of the ACA mean to our health care provider community? In large part, wherever one stands on this politically, it brings some measure of closure to the whole process of health care reform to providers who have nervously wondered if the strategic planning efforts they have embarked on over the past two years were about to unravel. While some parts of the ACA were likely to remain “facts on the ground” regardless of the outcome of this case, such as Accountable Care Organizations (ACOs) and some of the quality improvement initiatives put forth by CMS, others were likely to be profoundly impacted by today’s decision. For instance, if the individual mandate were struck down but the rest of the law were left intact, what would be funding mechanism be for providers to help offset the significant Medicare cuts called for in the ACA? Without new entrants into the insurance pool for provider organizations, providers would have to contend with the massive “stick” of the reimbursement cuts, without any type of offsetting “carrot” in the form of a much smaller number of uninsured patients. Today, providers know where they stand and can move forward. Well, that is largely true, anyway. There still will remain some uncertainty for providers, based on two components of the ruling that the Supreme Court pushed back on a bit. The first component involves the Supreme Court’s statement that, while it is technically constitutional for the Federal Government to offer financial incentives to state Medicaid programs to cover the costs of the widened insurance pool now to be covered by Medicaid, it could not mandate that state Medicaid programs accept the increased funding, under threat of pulling all funding from the Medicaid program. That was found to be unduly “coercive”. Thus, a state Medicaid program could theoretically “opt-out” of the increased funding model and maintain its current funding arrangement with the Feds. To what extent this might actually happen remains an unknown, but it clearly would reduce the number of newly-insured individuals (the aforementioned “carrot”), but it bears noting that 26 different states joined in the lawsuit against the Federal government based on the rules around this increased funding. The second area of pushback from the Supreme Court precludes imposing criminal penalties on any individual who does not pay their fine for not complying with the mandate to buy insurance. By taking the teeth out of the penalties for individuals, the risk of less healthy people participating in the insurance pool increases, with the attendant risks of less funding thus being available to support the more politically popular aspects of the ACA. Again, the impact of this cannot be known, but it is something that will need to be watched. As a healthcare CIO, more than ever, the impact of this decision reinforces the need to continue to look at how to do more with less in the realm of technology. 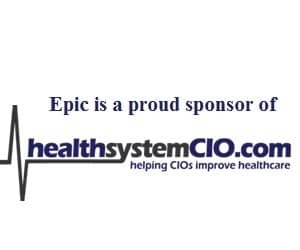 Having a well-defined ACO strategy that looks at organizational business drivers, is mindful of the local competitive landscape, and has the robust tools needed to effectively disseminate and report on complex data points will be essential for surviving and thriving in this new environment. With DRG and market basket cuts looming around the corner, and bundled payment models looking to become much more prevalent, CIOs will be under increasing pressure to bring technology to bear to effectively navigate this rapidly changing landscape. A most historic day, to be sure; now to move forward and get our organizations aligned to swim the big new sea of health care reform. ACOs, bundled payment models, quality improvement initiatives – here we come!